Concept: High performance car tires are often referred to as "sticky" because of their grip. I had just got a set of Michelin Pilot Sport 4 s, and wanted to communicate that idea of stickiness literally. I photographed the dripping honey, and decided I wanted more visual context, so I wanted to add bees. 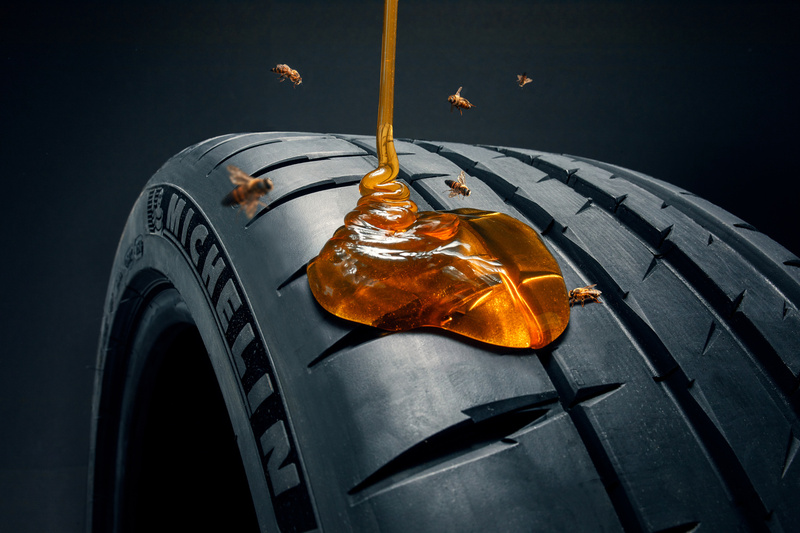 So I found some wildflowers captured a honey bee and brought it into the same studio area I was shooting the tire. I let it fly around and captured a few angles, then composited the scene together. Great concept man, love it! Thanks, Travis! I had fun with it.